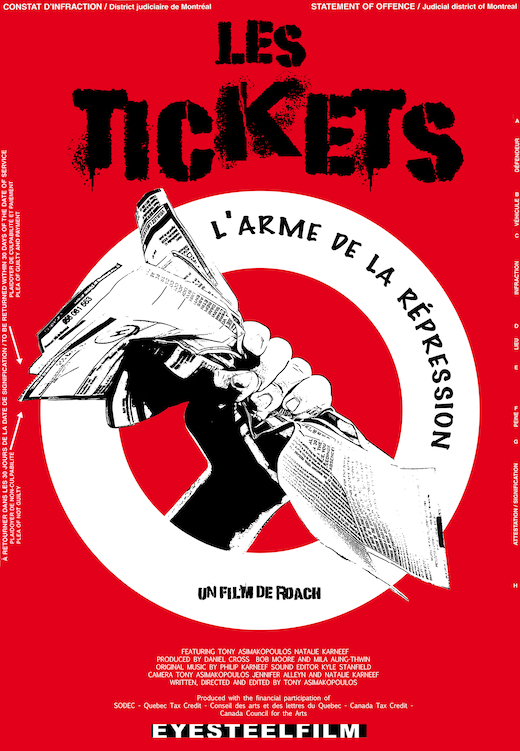 “Les Tickets” is about the police tactic of issuing large numbers of minor infractions against homeless people in Montreal in order to “evict” them from public areas, eventually relocating them to prison. Director: Eric « Roach » Denis. Editor, Post-production Supervisor and DOP for a number of sequences: Robin Dianoux.